Congratulations and Welcome your 2018-2019 SANDALL Board! 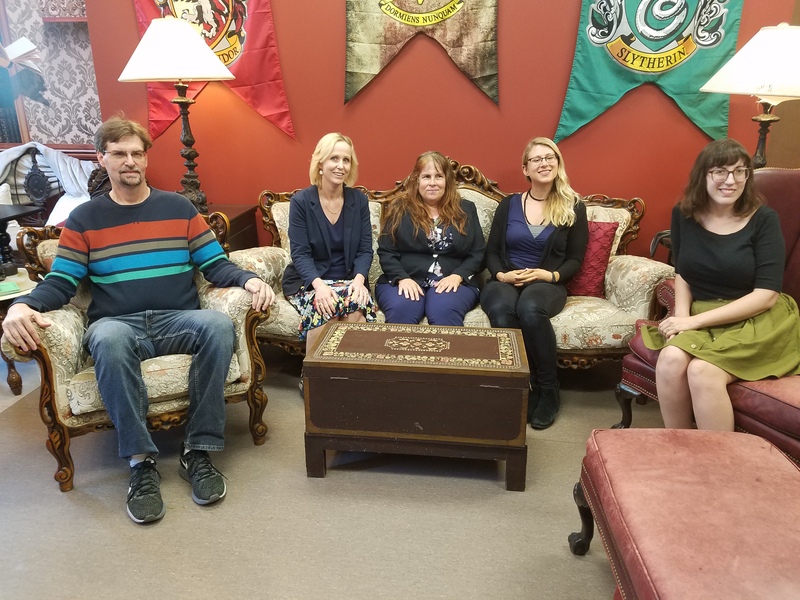 From left to right (Vice President Chris Pickford, Past President Lisa Foster, President Marianna Sterna, Treasurer Christine Mathias, and Secretary Sasha Orman). Click on the titles and committee names for more details. The Archives Committee is responsible for appraising and accessioning chapter materials as well as maintaining the Archives. The SANDALL Employment Committee produces and emails a weekly listing of available legal and non-legal information professional jobs. The Government Relations Committee (GRC) keeps SANDALL members apprised of legislative, judicial, and regulatory developments relevant to SANDALL membership. It also conducts legislative advocacy on its own and with other AALL chapters and library organizations for issues relevant to SANDALL membership. The Grants Committee reviews the applications of its members to award grants to cover transportation and registration costs to meetings or events promoting law librarianship development. The Committee is also responsible for promoting the availability of the grants and the deadlines for application submissions. The SANDALL News is published five times a year, every other month, with the exception of June and July. The newsletter is distributed electronically to SANDALL members and an archived version is placed on the SANDALL website. Recruits candidates to run for board positions. Publicizes to membership timeline and procedures for board elections. Distributes and manages ballots and announces election results. The Programs Committee plans educational programming, social functions, and the annual SANDALL Institute. The Public Relations Committee publicizes SANDALL events and promotes law librarianship and membership to SANDALL members, the general library profession, the legal community, and the community at large. The Committee is responsible for the membership directory, assists with SANDALL's online presence, and develops materials to spread awareness of the value of law librarians. SANDALL Connect is SANDALL’s networking and mentoring program that was launched in 2010 to provide opportunities for information professionals who are interested in law librarianship to meet. Maintains and updates the official SANDALL website.